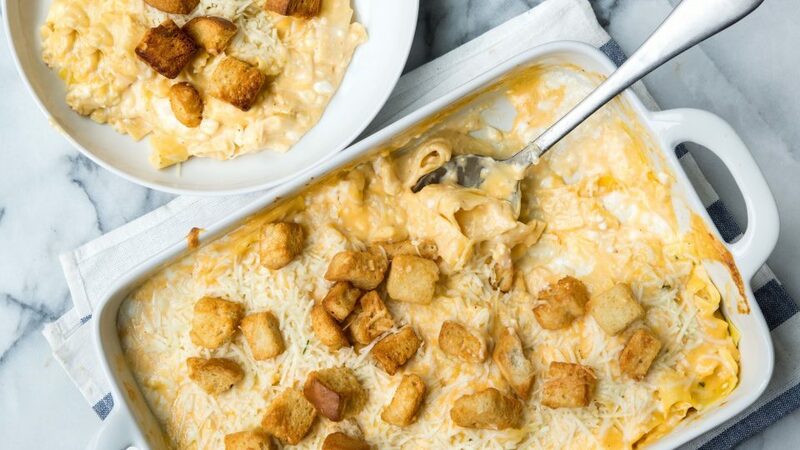 Cheesy Noodle Casserole Recipe - Five Cheese | What's for Dinner? Move over mac and cheese. Kids and adults alike will love this creamy cheddar soup made of cream cheese, shredded cheddar, cottage and parmesan cheese. 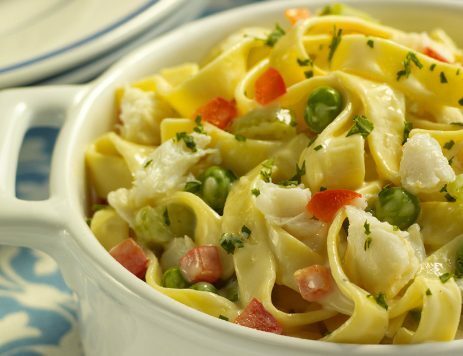 78% of homecooks would also make this recipe! Preheat oven to 375°F. Cook noodles according to package directions. 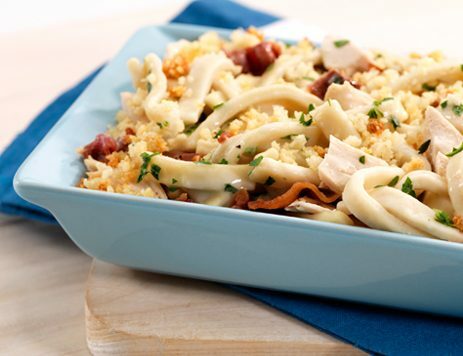 In a 13" x 9" baking dish, mix together noodles and cottage cheese, set aside. In saucepan over medium heat, melt together soup, half & half, cream cheese, cheddar cheese, salt, pepper and butter. Pour this mixture over noodle mixture and stir together. Sprinkle top with Parmesan cheese and croutons.